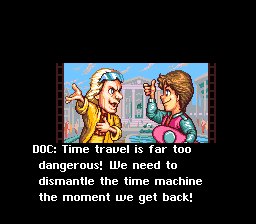 This Japan only release follows the events of Back to The Future. 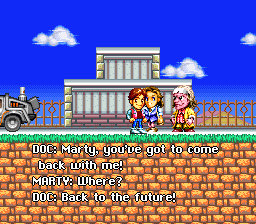 Help Marty fix the future and get back to 1985. 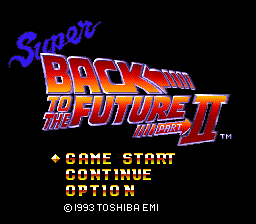 This is a complete English translation of Super Back to the Future 2 for the Super Nintendo, which was created alongside the Polish translation of the same game. 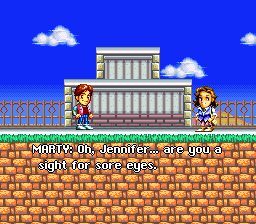 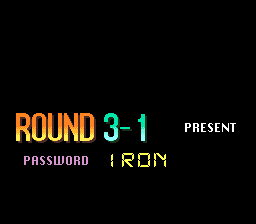 The patch features a full translation of the text and pre-stage graphics, as well as a variable-width font.